With more than 100 million ears pierced by their certified experts, Claire’s, claiming to be the world’s leading ear piercing specialists, have been piercing ears since 1978 and continue to do so today. 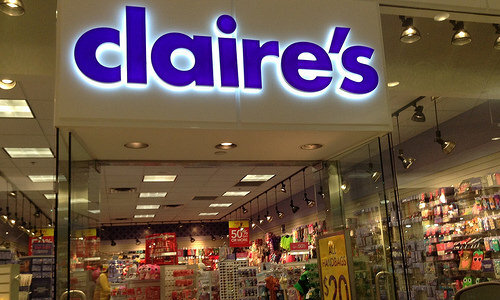 How much does ear piercing cost at Claire’s? According to the official website, ear piercings are free if you purchase a starter kit from the store, which starts at about $19 and will increase from there, greatly depending on what kind of earring kit you wish to purchase. This kit will include the piercing earrings or stud, as well as the aftercare solution. This price, of course, could be much more if you were to choose a higher-end gold earring on the day of your piercing, for instance. If you wanted a nose piercing or cartilage piercing, aside from the standard dual lobe piercing, then additional fees will apply, which from our research, seemed to be an additional $10 to $20. You can view all of the company’s starter kits by visiting their official website. Racked, in its Claire’s Is Still the Best Place to Get Your Ears Pierced piece, they said you should be prepared to spend about $30 for a sterling silver post or a pinch more than $60 for a gold stud. All ear piercings are done directly inside of the store and no appointment is required but you can contact a chosen store nearby in advance if interested in a piercing. As per the ear piercing FAQ on the official website, the ear piercing earrings will always be individually packaged and pre-sterilized at a state of art facility before used. The company only use piercing earrings with sharp posts, and for increased comfort, the instruments they use are smooth and quick. The company uses a high-quality Studex System 75 instrument, which is a single-use, disposable sterilized cartridge for an effective and hygienic piercing. All of these earring cartridges and instruments come with no human contact ever and the instrument only comes in contact with the ear only once, with the backing automatically installed onto the piercing with no adjustment necessary after the piercing completes. As for the nose piercing procedure, the company only uses the Medisept Nose Piercing System, which is also a single-use cartridge that does not come in contact with your skin at any point. Cartilage: Located at the top of your ear, this is the flat section of the ear where it begins to naturally curve. Before the piercing, an employee will talk to you about the process and help pick out an area for perfect placement. For this option, age restrictions do apply, often only available for those older than 13, and the company recommends you contact your store of choice in advance to confirm. Dual lobe: A dual lobe piercing, performed by two specialists, entails piercing both of the ears simultaneously and is considered to be a good option for younger children or anybody who feels nervous about the piercing process. Nose: This option is only available via certain stores as all stores do not have this option. Contact a local store of choice to see if they offer nose piercings as the selection is limited. All of the employees employed by Claire’s who pierce ears are fully trained to make sure they meet all safety standards and regulations. I took my newborn here and purchased the 14K gold starter kit. Seemed okay and healed a few weeks later.